Police and community leaders are calling for family unity following an increase in domestic violence cases in Prince George's County. The most recent case happened over the weekend when a man killed his 3-year-old daughter and wounded her relatives before he was fatally shot by police. The little girl is the 13th person to die at the hands of domestic violence in the county this year. Angela Alsobrooks, the State's Attorney for Prince George's County, joined faith and community leaders Monday morning to call for an end to family violence. 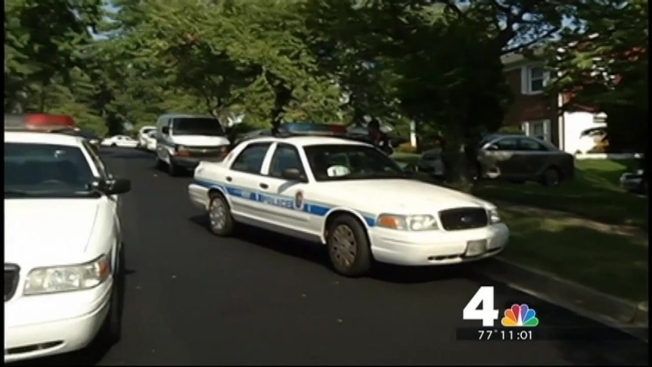 Prince George's County police will also hold a news conference Monday afternoon. Police said Frederick Roy Miller, 38, of Landover, Maryland, died during a police-involved shooting in Temple Hills Saturday afternoon. His 3-year-old daughter suffering from trauma to the upper body was discovered in the car Miller was using to try to escape. Initial reports from the Office of the Chief Medical Examiner show it appears Miller stabbed and shot his daughter. The child’s maternal grandfather and great grandmother remain in critical condition. Police said they were shot by Miller at a home in the 4200 block of Farmer Place. Officers were responding to that scene when they began their pursuit of Miller. At the intersection of Beech Road and Branch Avenue, Miller’s car lost a wheel. Investigators said he began firing his weapon at officers. The car continues down Branch Avenue for a short distance where police and Miller exchanged gunfire again. During that incident, Miller was fatally struck. The young girl was found in the car with her injuries. She was taken to the hospital and pronounced dead. Six officers involved in the shooting were not injured and are on routine administrative leave pending the outcome of the investigation. The girl’s mother was not at the scene of the shootings and was found unharmed. Investigators still don’t have a motive for Miller’s actions. Domestic violence cases have become increasingly prevalent in Prince George's County. On Friday, a District Heights man allegedly shot and killed his estranged wife and another woman before turning the gun on himself. Three-year-old Knijah Bibb was shot and killed in Landover last Sunday after a fight between two men ended with one of the men spraying a home with bullets. Her suspected killer, 24-year-old Davon Wallace, remains on the loose.